Tune in. 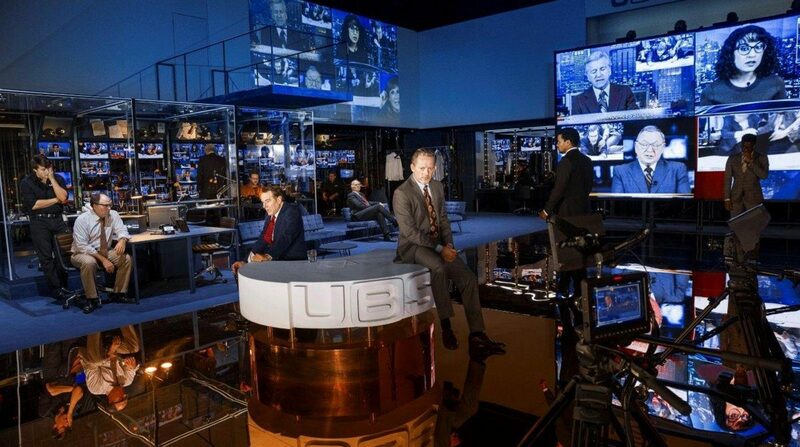 Following a hit world premiere production with London's National Theatre, the acclaimed stage adaptation of the iconic film Network is coming to Broadway. Written by Tony winner Lee Hall (Billy Elliot) and directed by Tony winner Ivo van Hove (the upcoming West Side Story), the main-stem transfer will star Tony and Emmy winner Bryan Cranston, reprising his Olivier-winning turn from London. Previews will begin at the Cort Theatre on November 10 with an opening slated for December 6. Network centers on news anchorman Howard Beale (Cranston) who isn't pulling in viewers. In what is to be his final broadcast, he unravels live on screen, and as the ratings soar, Howard becomes the biggest thing on TV. The film, written by Paddy Chayefsky and directed by Sidney Lumet, won four Academy Awards in 1976. The creative team will feature set and lighting design by Jan Versweyveld, video design by Tal Yarden, costume design by An D’Huys and music/sound design by Eric Sleichim. Additional casting will be announced at a later date. Network is scheduled to play a limited engagement through March 17, 2019.